From a cursory review of the bankers’ boxes, it would appear that memorabilia from both West Queen Anne (grade school) and Queen Anne High School are part of Dad’s collection. 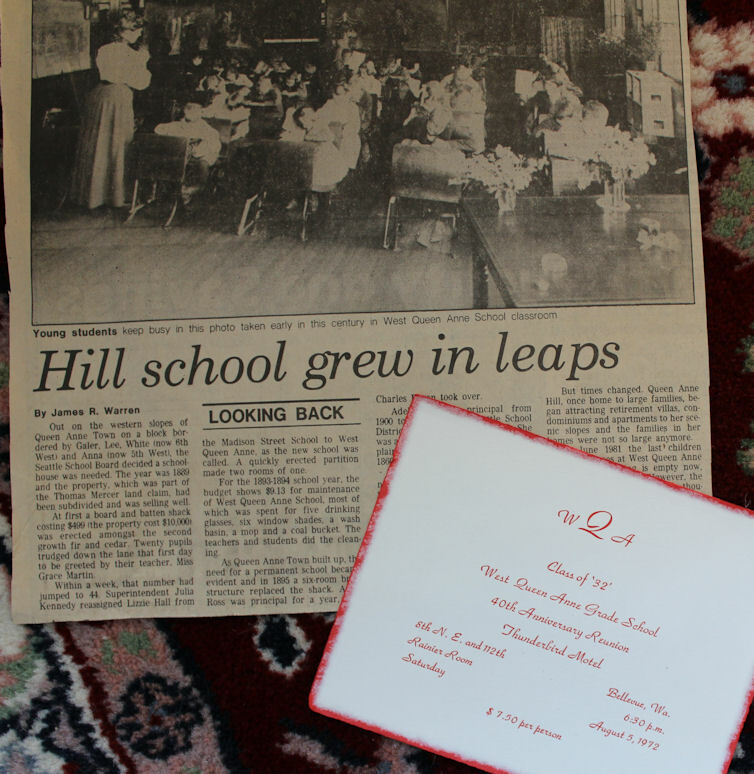 West Queen Anne 40th Reunion invitation & unidentified newspaper clipping about the founding of this Seattle school in the 1890s. 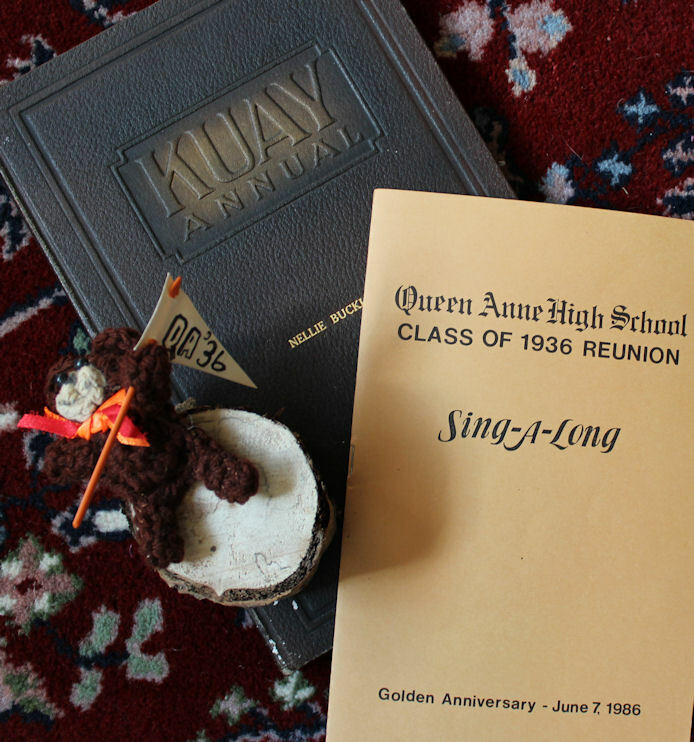 Queen Anne High School Class of 1936 Golden Anniversary Reunion “Sing-A-Long”. If you look closely, you’ll note the tiny crocheted “Grizzly” bear holding the QA ’36 pennant. How creative!